I’m reading a new book at the moment (cookbooks are still considered reading books in my world), The Breakfast Bible. For any of you who doubt the strong affection I have for my first meal of every day, this should tell you that I am quite serious. ‘I say, I wonder what’s going to happen exciting today?’ Said Piglet. Pooh nodded thoughtfully. I love that quote. 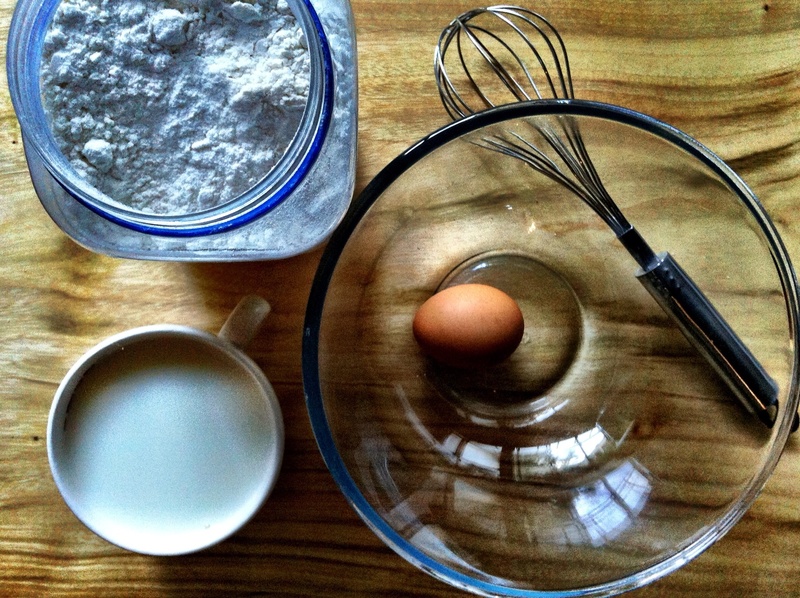 And it reminds me of my first and fondest cooking memory – making pancakes. Our family holidays to Pacific Palms were the best – nothing to do but boogie board, walk along the beach collecting shells, play board games, card cards and make silly music mix tapes with my brother. For a treat we’d see a movie and get fish and chips. Although that was about 25-years-ago – I’d be quite happy with a summer holiday like that now. But the most exciting part for me, was making pancakes. If I could’ve made pancakes for every meal, every day, I would. But I was allowed to make breakfast every second day – un-assisted in the kitchen (I was all of about 8-years-old, so this was serious grown up responsibility) and it was only ever pancakes on the menu! Clad in my pink quilted dressing gown and matching slippers. I remember the big red plastic mixing bowl and getting all my utensils ready (there is a photo of this somewhere…). I knew the recipe by heart. Although most of my early cooking influences came from mum, Dad taught me this one – 1 egg, 1 cup of milk and 1 cup of flour. I would set up four plates and cutlery along the edge of the laminate kitchen bench. Condiments – strawberry jam, butter, honey, lemon wedges and brown sugar. My guests would lay in bed reading until I called them to the table. 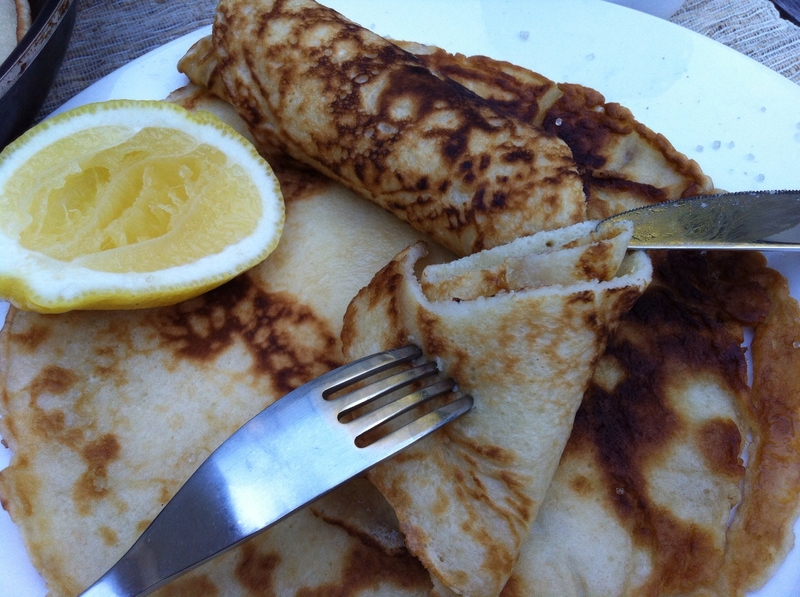 The first pancake was always lightly browned the best – I still don’t know why. To me, this was the ultimate. Cooking unaided, without a recipe and feeding my family a meal they truly enjoyed – it was all too wonderfully satisfying to only happen every second day at Pacific Palms. Maybe this is where my love of the most important meal of the day began. 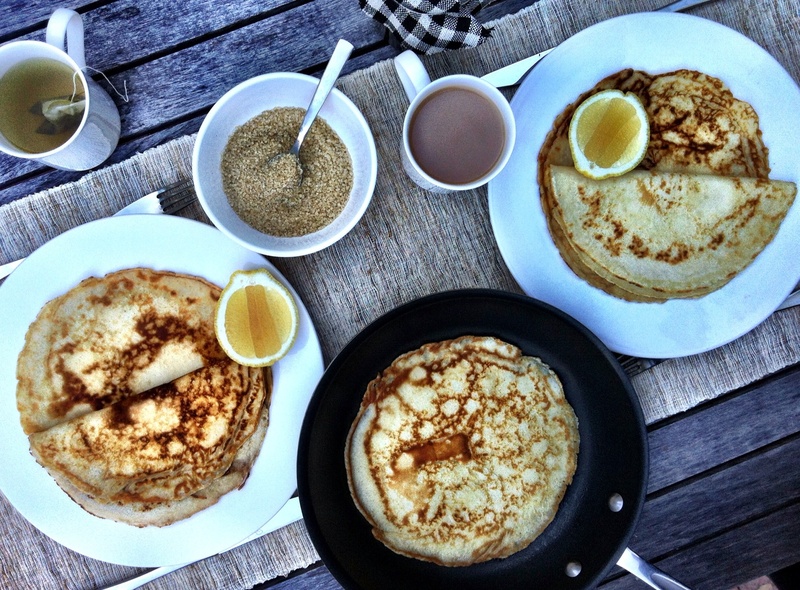 The only way I still enjoy my pancakes is with a squeeze of lemon and teaspoon of brown sugar. 06 May	This entry was published on May 6, 2013 at 1:37 pm. It’s filed under Lucy's plate, Recipes and tagged Breakfast, Hugh Fearnley-Whittingstall, Pancakes, River Cottage Everday. Bookmark the permalink. Follow any comments here with the RSS feed for this post. Love the image of the dressing gown and the simple recipe from your dad- perfect! Yum! We especially love the raised waffles, and the nutmeg muffins … but actually, everything I have made from the book is good. Cornbread is now on my list to try! Yum.